Male domestic fowl are less aggressive towards related males than to unrelated males when competing for copulations, according to a new study from Linköping University in Sweden. This finding, which has been published in the scientific journal Behavioral Ecology, suggests that domestic fowl can recognise their kin among individuals in a group, and that their behaviour is different towards kin and non-kin. Domestic fowl in groups form a strict hierarchy, with one rooster being dominant over the others. The roosters compete for access to hens to mate with, and in this way produce offspring and transmit their genes to the next generation. If a rooster that is lower in the ranking attempts to mate with a hen, the dominant male will often interrupt and abort the mating attempt. The researchers who conducted the study investigated if roosters not only attempt to produce offspring themselves but also to help relatives to do so. From an evolutionary perspective, this would be a way of ensuring that at least some of the male's genes are transmitted to the next generation. Particularly older males, with reduced reproductive capacity, may be more accepting towards younger relatives mating attempts. 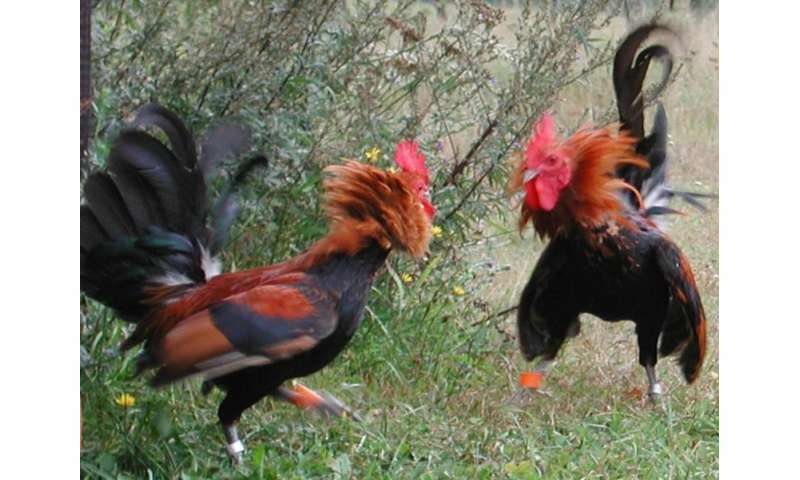 Thus, the researchers wanted to determine whether dominant roosters are more permissive towards the attempted matings of subordinate relatives than to those of unrelated lower-ranked males. They divided the chickens into groups with one dominant male and two roosters of lower rank; one of which was brother or son of the dominant male, and one that was unrelated to him. The three roosters were released together with four hens, and the researchers observed their mating behaviour. "We saw that related males interrupt each other's mating attempts less frequently, and are in this way more tolerant towards kin. 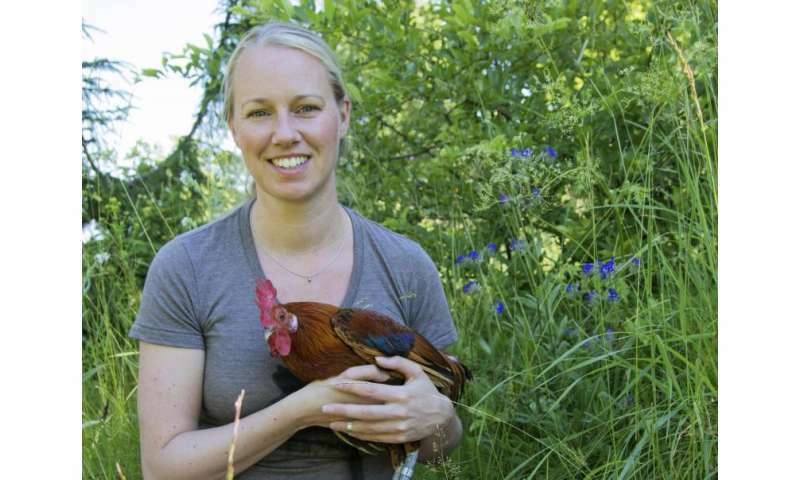 The dominant rooster interrupted unrelated males' mating attempts more frequently," says principal investigator Hanne Løvlie, associate professor in the Department of Physics, Chemistry and Biology at Linköping University. It has previously been shown that some birds, such as the red junglefowl, the wild ancestor of the domestic fowls, can recognise their relatives. "We conclude that chickens also can recognise their relatives, and that this influences their behaviour. In this case, it determines the likelihood that they will be aggressive towards another male in a competitive situation", says Charlotte Rosher, first author of the study. However, older males were not more tolerant than younger males, and all roosters were nicer towards their relatives independent of age. "The finding demonstrates how complex evolutionary processes and finely tuned individual behaviour can be. Animals in a group behave differently towards other individuals depending on who they are related to," says Hanne Løvlie. It is however still not clear how the birds can recognise their kin. One possibility is that they use olfactory cues. That must be a very docile rooster for Ms Lovlie to be holding it that way. Most roosters I've seen are quite feisty.